In 2012, Ali Smith delivered the Weidenfeld lectures on European comparative literature at St. Anne’s College, Oxford. Those lectures, presented here, took the shape of discursive stories that refused to be tied down to either fiction or the essay form. Thus, Artful is narrated by a character who is haunted - literally - by a former lover, the writer of a series of lectures about art and literature. A hypnotic dialogue unfolds between storytelling and a meditation on art that encompasses love, grief, memory, and revitalization. The Man Booker International Prize, 2016. Before the nightmares began, Yeong-hye and her husband lived an ordinary, controlled life. But the dreams - invasive images of blood and brutality - torture her, driving Yeong-hye to purge her mind and renounce eating meat altogether. It's a small act of independence, but it interrupts her marriage and sets into motion an increasingly grotesque chain of events at home. 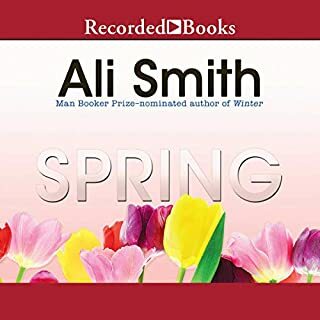 The stories in Ali Smith's new collection are about what we do with books and what they do with us: how they travel with us; how they shock us, change us, challenge us, banish time while making us older, wiser, and ageless all at once; how they remind us to pay attention to the world we make. Barefoot, thirtysomething Amber shows up at the door of a Norfolk cottage that the Smarts are renting for the summer. Amber doesn't know them, but she talks her way in, telling lies, and stays for dinner. Eve, an author, thinks Amber is a student her husband is sleeping with. Michael, an English professor, knows only that her car broke down. Daughter Astrid, age 12, thinks she's her mother's friend. Son Magnus, 17, thinks she's an angel. Gradually, Amber insinuates herself into the family. Dazzled by her seeming exoticism, the Smarts begin to examine the accidents of their lives under the searing lens of Amber's perceptions. When Eve finally banishes her from the cottage, Amber disappears from their sight, but not, as they find when they return home to London, from their profoundly altered lives. Fearlessly intelligent, disarmingly playful, The Accidental is a Joycean tour-de-force of literary improvisation that explores the nature of truth, the role of chance, and the transformative power of storytelling. This book was excellently written and narrated. 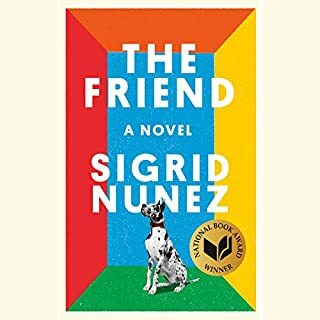 I was amazed at the author's ability to write in the first person for 5 different characters, a mix of male and female, and have each character be distinct in "voice" and vocabulary. All characters were believable and well-wrought. 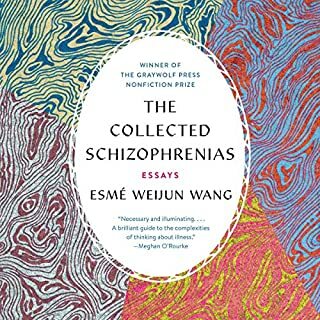 Do not buy this book if you like to skim the surface or are uncomfortable with the unconscious energies that are there under the surface in all of us. If you want something sentimental or feel good on a superficial level, skip this. But if you want a book with great character development, a book that is thought-provoking and builds suspense through engagement with the characters inner lives, you will enjoy this book. Thank you audible for putting on something that is contemporary, unabridged and has got some substance! I was initially concerned I had made a poor choice. By the end, I was disappointed it wasn't longer. I would almost compare this to Cloud Atlas, with out the fantasy. Great characters. This is the type of book that should be broken down and analyzed in a literature class. Well done. 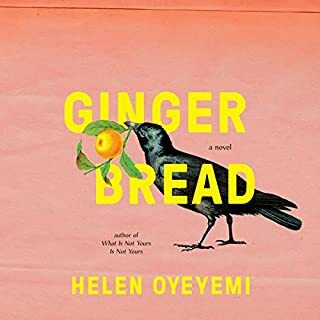 This is not an easy book, but it is a beautifully crafted novel, well worth the challenge of following a story line that is seldom chronological. 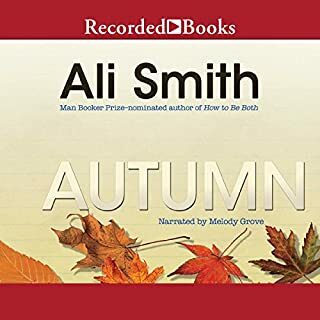 Ali Smith does a terrific job of creating a unique "voice" for each of the five characters, and whole chapters are dedicated to their individual points of view. A motif of that which is real juxtaposed to that which is manipulated to appear real runs throughout the novel. The narration is excellent, and I highly recommend this Booker Prize-nominated novel. I tried - I really did. But 2 1/2 hrs into it I give up. Is there a purpose to this thing? Perhaps abstract random prose is not entirely suitable to listening, and it might be ok to read it in print. I don't know. I'm going to go find something with a plot. Wow - I was surprised to see how many people hated this audiobook - I thought it was great. My only complaint was the music that connected the sections/characters, which I found very annoying. But the story was fascinating, and the changing perspectives given on the same events from different genders and different ages....I enjoyed it immensely, and the readers were great! ...I might have had to read it. I would have a harder time reading this book than listening to it. I gave it three stars only because if I had read it I would probably have given it two. Frankly, I'm not sure what this story really was about. People lying to themselves? People not believing when others speak the truth? People punishing others for living what they perceive as false lives? People punishing others because they are unhappy with the way their lives turned out? Big Brother is everywhere? Big Brother turns a blind-eye to trysts in a church? Movie theaters are romantic? I could go on and on and on - just like the book! Although I suspect I would enjoy this book in written form, the audio version of this book was was actually painful to sit through. The pace tedious, the tone annoying. This book did have meaningful core concept, and the writing was not too bad, but characterization seemed mechanical to me and the story was overly one dimensional. I particularly did not enjoy the numerous repetitious prose. The readers were all wonderful, but the overall experience was not quite worth the listen. The stream of consciousness narrative slowed to a trickle of drivel at times. While i managed to finish the book, I am too impatient to examine it further for any redeeming qualities. Blah. Take a pass. 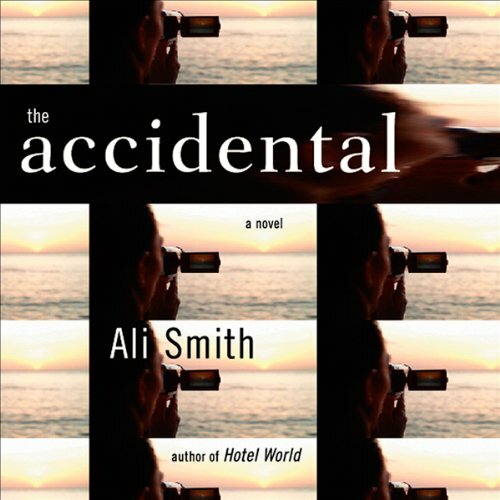 I do not recommend the audiobook "The Accidental." I did not think it was engaging. It is written in a stream of consciousness style that I found boring. It might be a realistic portrayal of the random thoughts that people have, but I often found these thoughts uninteresting. I bought this book because I liked the plot summary and the critical reviews. After I was a couple of hours into it, I went back to re-read the reviews, and this time I clicked on the customer reviews and I saw that other listeners had reactions similar to mine. However, professional reviewers praised it highly, which leads me to believe that I might be missing something, which is entirely possible. Maybe the characters' thoughts are not really random, but cleverly presented and tied together nicely. I stuck with it to the end to see if it would have a "Zen and the Art of Motorcycle Maintenance" style of ending, that almost makes it worthwhile, but it did not.